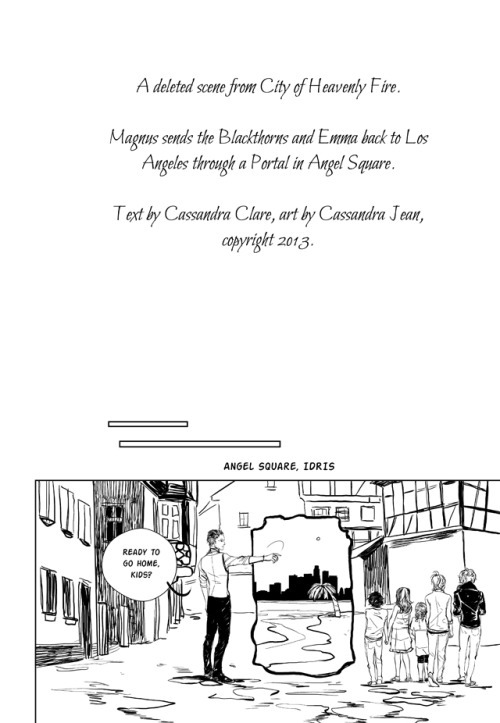 Shadowhunters, are you ready for two more early Christmas treats? 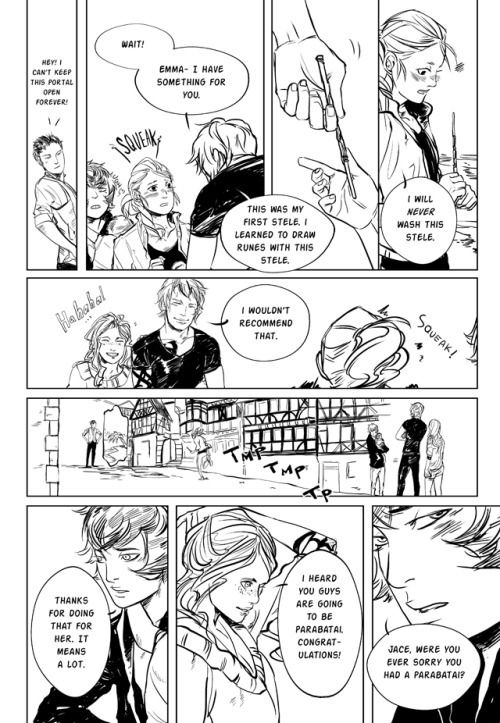 Cassandra Clare shared another comic strip scene from City of Heavenly Fire and also a cut scene that features Jonathan Morgenstern/Sebastian Verlac. 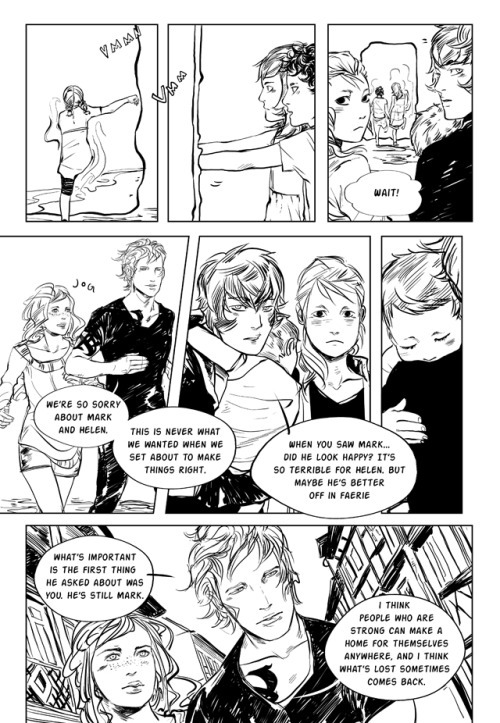 I haven’t got much in the way of substantive cut scenes from City of Heavenly Fire. Most things were rewritten rather than removed. But here’s a bit of Sebastian’s death scene that didn’t make it in. “We forgive you,” Jocelyn said. She was still crying, in the same soundless terrible way, just as she had every year on Jonathan’s birthday when she had held the box with his initials on it and wept. All the feels, right? 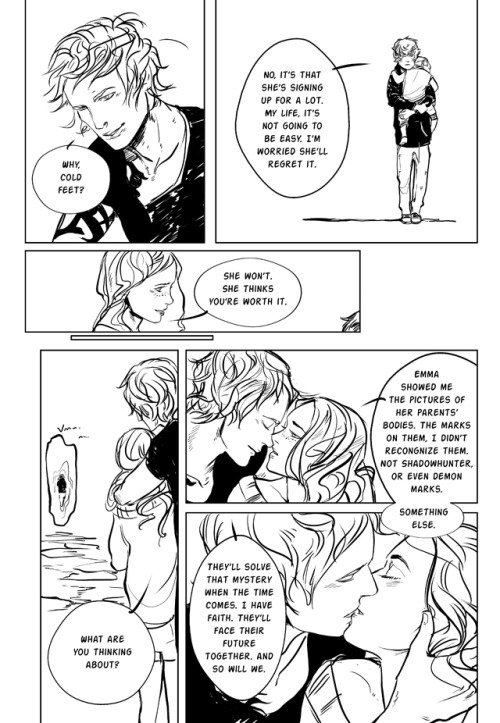 Tell us your thoughts in the comments and check out the unedited Clary and Jace cave scene and the other comic strip scene in case you missed them! The part with Johnathan just makes me want to cry. It’s a shame that wasn’t written into the book. I feel like with Sebastain, even though he was evil, I think deep down when he asked Clary for forgiveness in CoLS it was as if it was Johnathan asking it and not Sebastain. Awww! Both scenes were so cute especially Emma and Julian’s friendship and Jonathan’s line about sisters. I wish that scene had been in the book but I love it any ways.